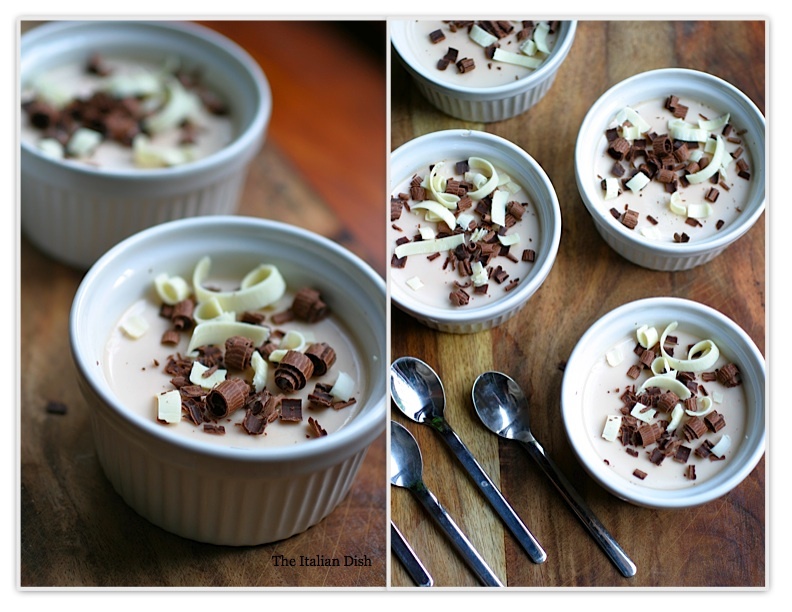 Panna Cotta is one of those great desserts that you can make ahead of time. It's so quick and easy and can be served in any pretty glass. When I make this recipe, I always have some mixture left over and I pour the extra into small ramekins. You can also pour this into coffee cups or espresso cups for a really fun presentation. Panna Cotta means "cooked cream" in Italian and is a very adaptable recipe and can be flavored with just about anything. If you want to leave out the cocoa powder from this recipe, you can add some vanilla bean and have vanilla panna cotta. Or add a touch of honey or a little pureed blueberries. You really can flavor it any way you like. When you cook this, be sure to gently heat the mixture. Do not let it boil. Make sure all the sugar has dissolved before removing it from the heat. Put the milk in a medium saucepan and sprinkle the gelatin over the milk. Let it stand for about 5 minutes to soften. Turn heat to medium and stir milk just until the gelatin dissolves. Add the cream, sugar and salt. Whisk in the cocoa powder until you get the amount of chocolate you like. Whisk over low heat until the sugar completely dissolves, just a few minutes. Remove from the heat and let cool completely. (I pour the mixture into a 6-cup Pyrex to cool.) Stir mixture frequently during cooling to prevent skin from forming. 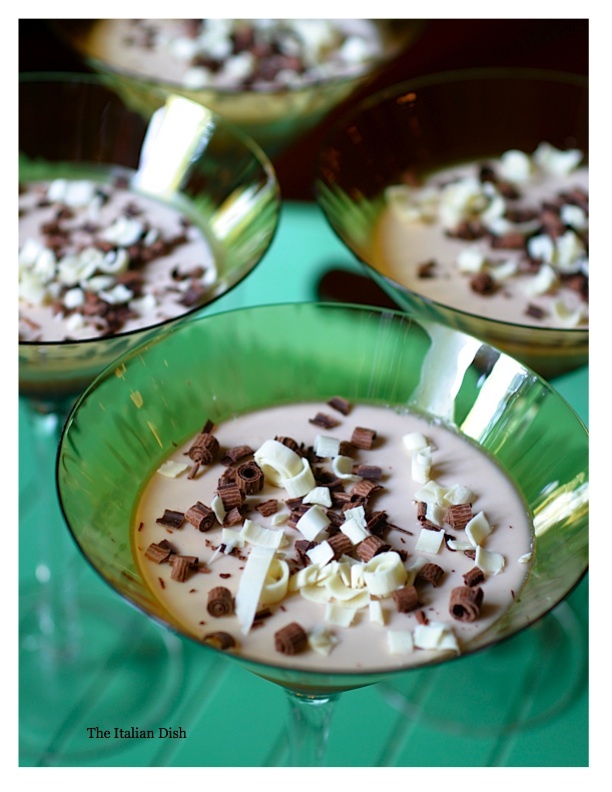 Pour the cream mixture into 6 martini glasses or into a dozen small ramekins. Cover and refrigerate. Chill until set. 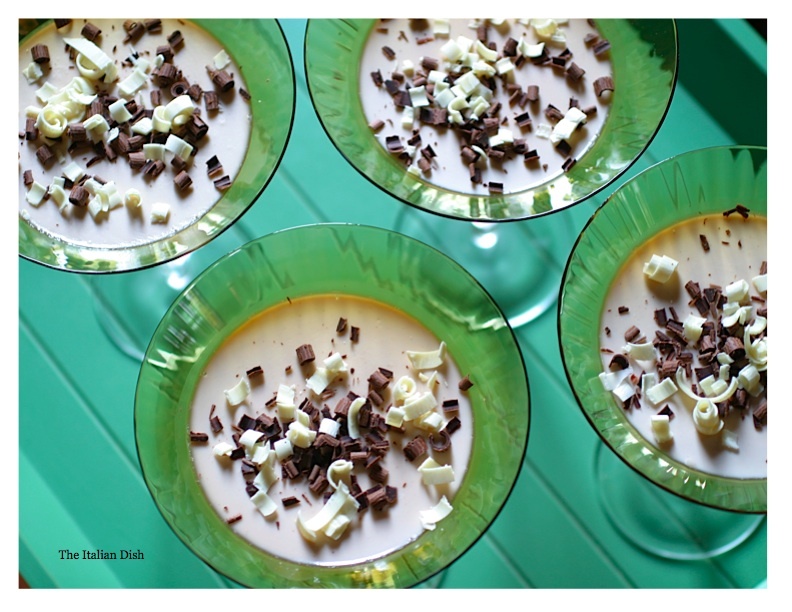 With a vegetable peeler, shave small chocolate curls from each of the chocolate bars onto the panna cotta.